iii) the liquid can be approximated to a semi-infinite layer, which means the penetration depth of the shear wave inside the liquid is very much smaller than the liquid thickness in contact with the quartz crystal. Start openQCM and wait for the steady state, qualitatively when temperature reaches equilibrium. 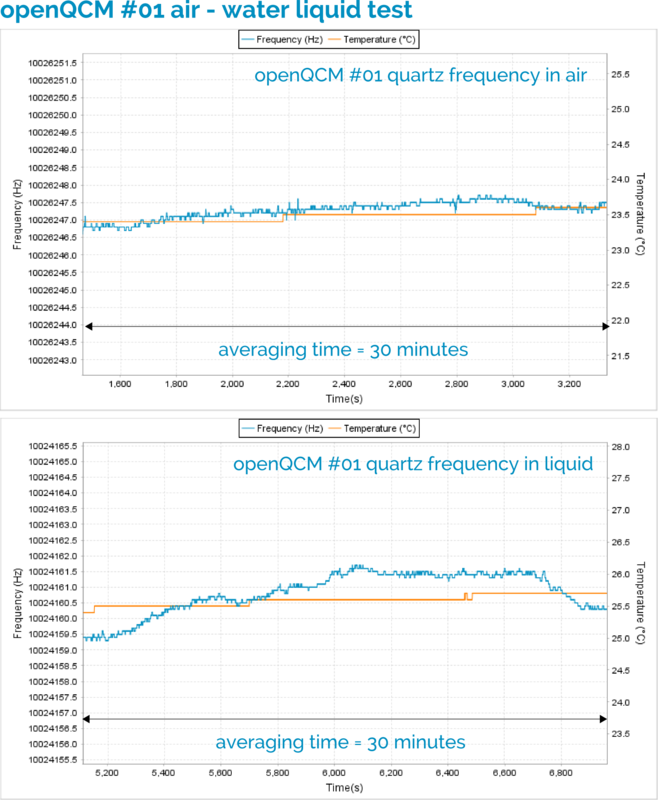 Measure and record the openQCM initial frequency over a time interval of about 30 minutes. The initial frequency corresponds to quartz crystal in contact with air. Inject pure water in the measurement chamber using the syringe pump. Wait for the new steady state, qualitatively when temperature reaches a new equilibrium typically at higher temperature. 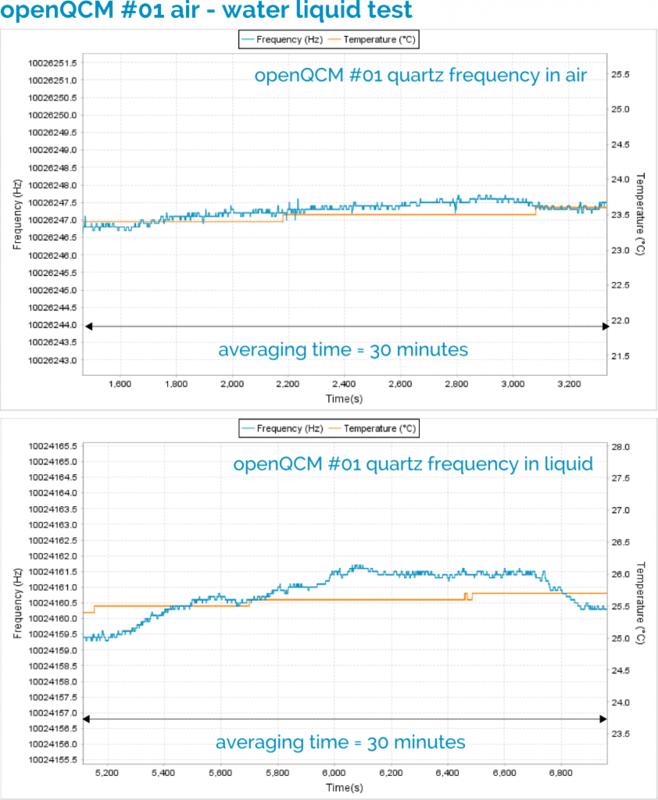 Measure and record the openQCM final frequency over a time interval of about 30 minutes. The final frequency corresponds to the quartz crystal in contact with pure water. Calculate the frequency difference = final frequency - initial frequency. Here some tip and tricks for using openQCM in contact with liquid. Figure 1 How to properly mount the quartz crystal sensor into the HC-48/U holder. 2. Bubble: please make sure no bubbles are present in the measurement chamber during your entire test. We have designed a transparent measurement cell exactly for this reason. 3. Liquid injection: in order to avoid bubble it is a good practice to inject the liquid in the measurement chamber, using a syringe pump, a peristaltic pump or whatever, as shown in Figure 2. 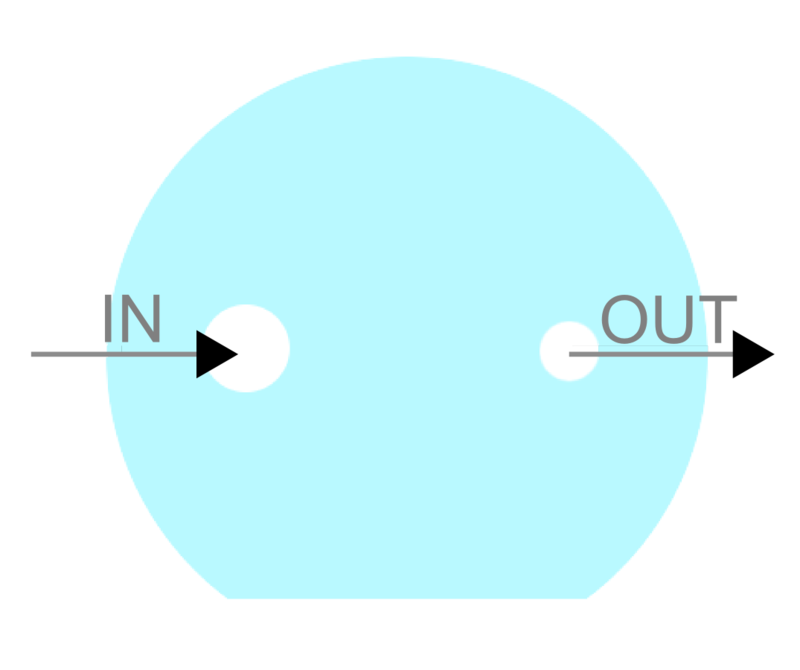 You should use the larger hole as inlet (IN) and the smaller one as outlet (OUT). 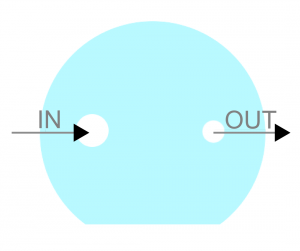 4. o-ring mechanical stress: sometimes the o-ring can become more rigid when it is in contact with liquid, in particular for the first time. It causes a long-term drift in the frequency behavior. In this case, the mechanical stresses can be released by knocking hard with one finger on the measurement chamber. The experimental results of the entire test for both openQCM instruments are shown in Figure 3. The entire test verification takes approximately 2 hours. The experimental results demonstrate a good agreement between the frequency shift measured by openQCM to the passage from air to pure water and the theoretical prediction of the Kanazawa Gordon equation. The theory predicts a frequency shift of about 2kHz for a 10 MHz quartz crystal resonator from air to pure water at ambient temperature. The frequency shift measured using openQCM is very close to the theoretical value. 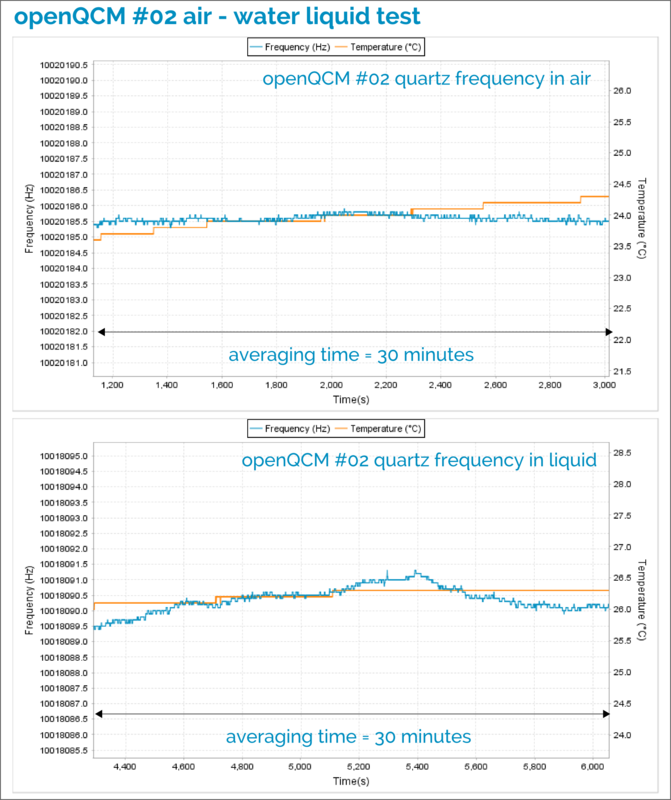 It was also demonstrated the openQCM measurement reproducibility by testing and comparing two different openQCM instruments under the same experimental conditions. 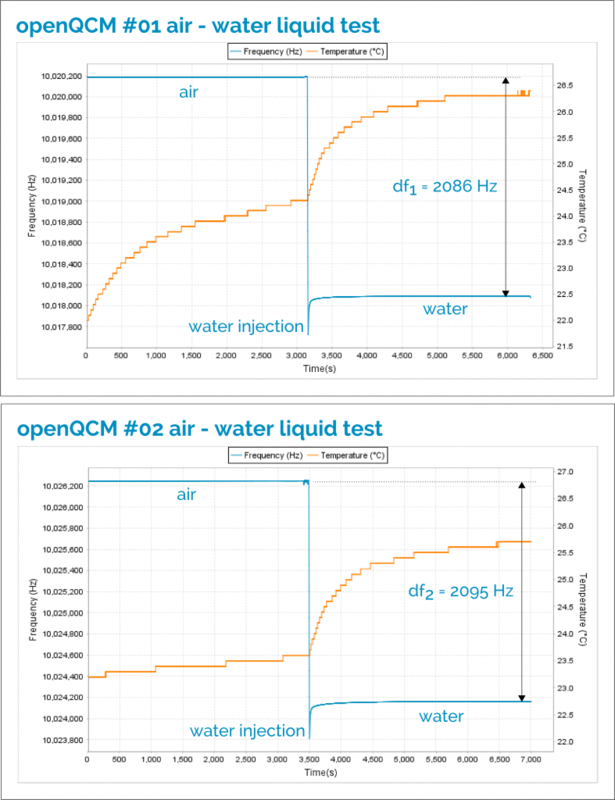 The test and results we have reported shown a very simple and practical way to verify the working condition of openQCM and it is also a good way to make some practice with quartz crystal microbalance in contact with liquid. Kanazawa and Gordon published their theoretical and experimental results in two papers in the '80s. The papers are pioneering and inspiring masterpiece in this field. You should read them!